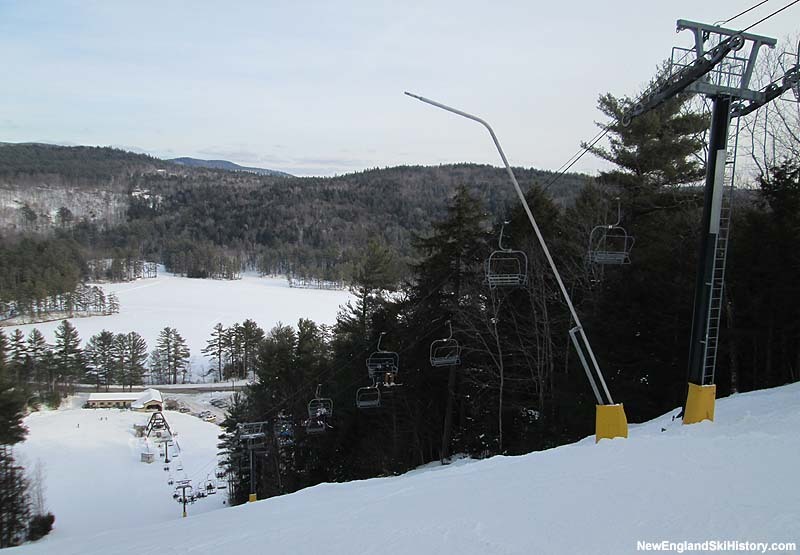 After operating for half a dozen ski seasons on the original double chair development, it was time to expand the area. 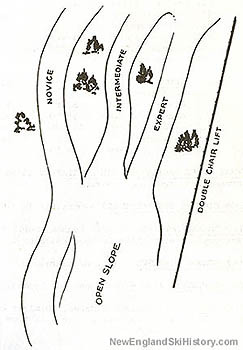 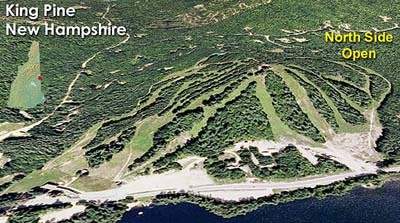 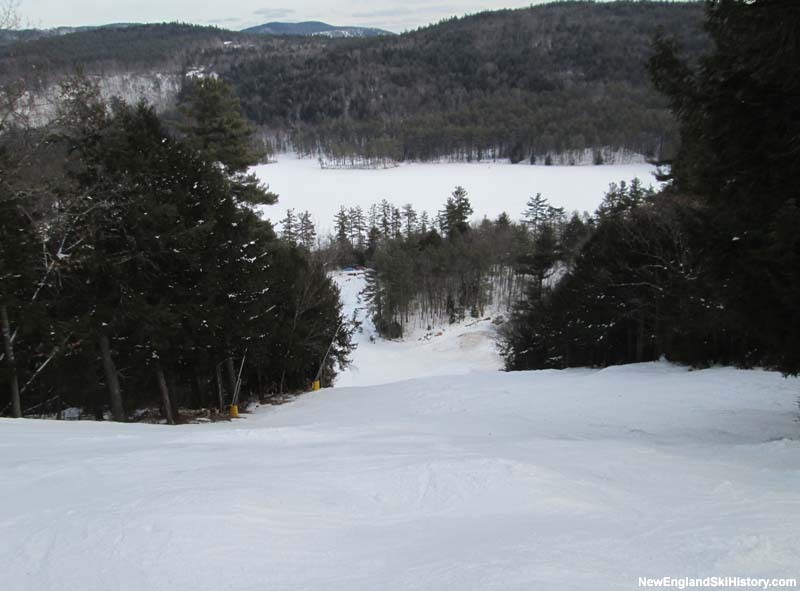 While the original area had multiple novice and intermediate trails and slopes weaving through tall pines, it was lacking expert terrain. 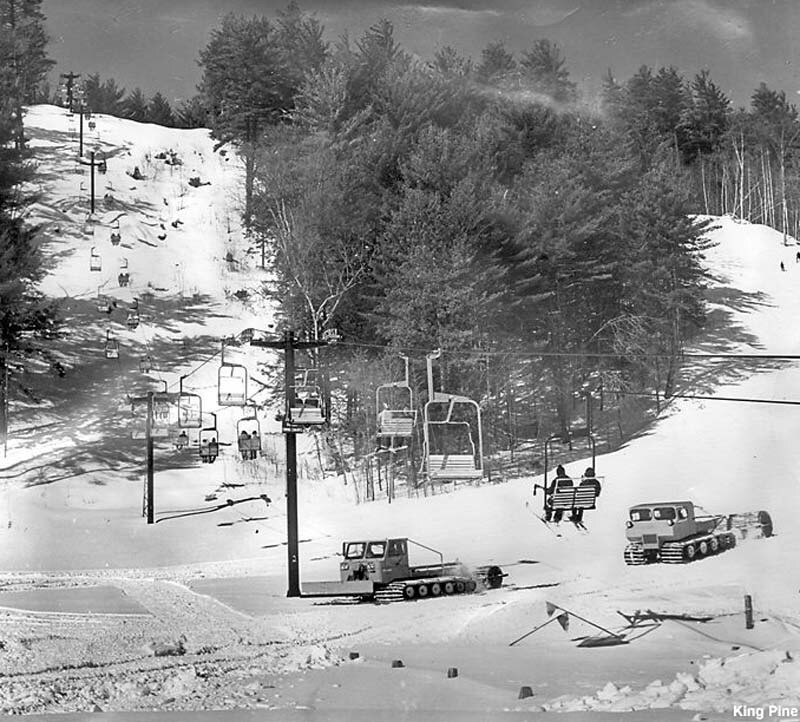 A 1,220 foot long by 336 foot vertical new Hall double chairlift, the Black Bear, was installed on the north side of the peak for the 1968-69 season. 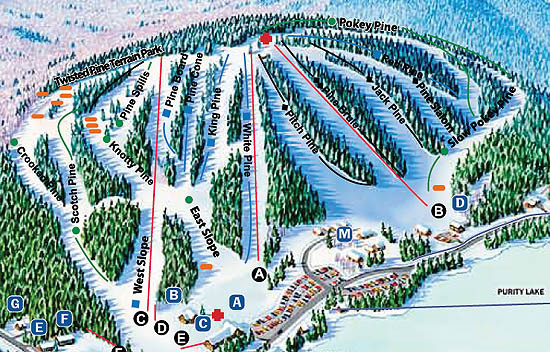 The new lift extended King Pine's vertical drop and served trails of all abilities, including short, but steep expert trails. 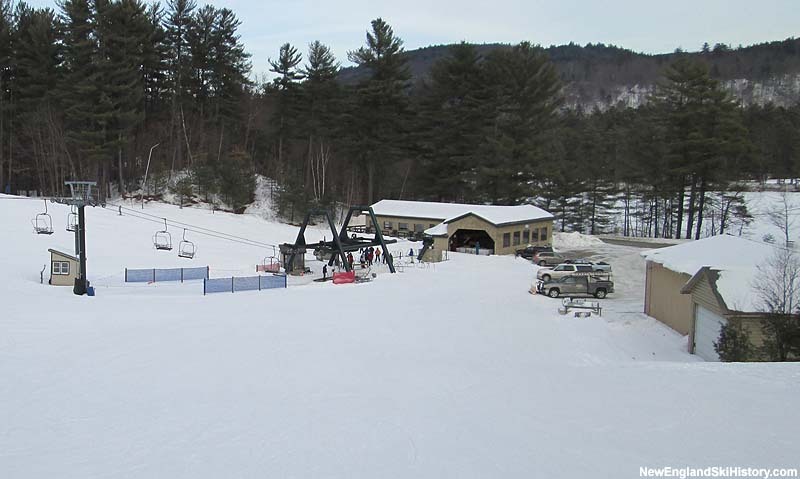 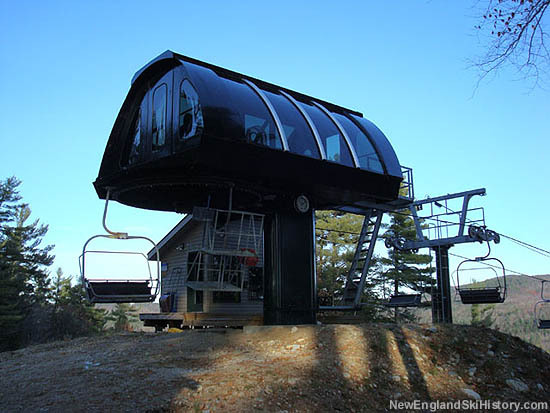 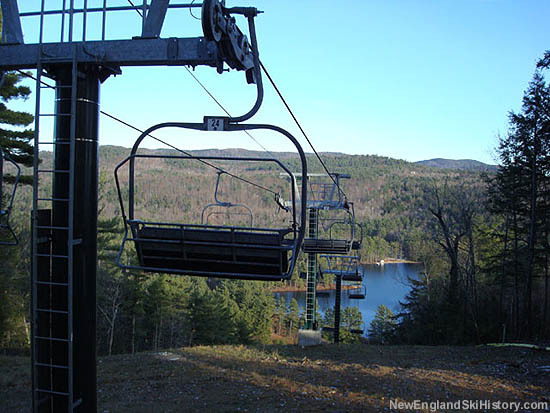 After near 40 years of service, the Black Bear double was replaced for the 2006-2007 season with a new triple chairlift. 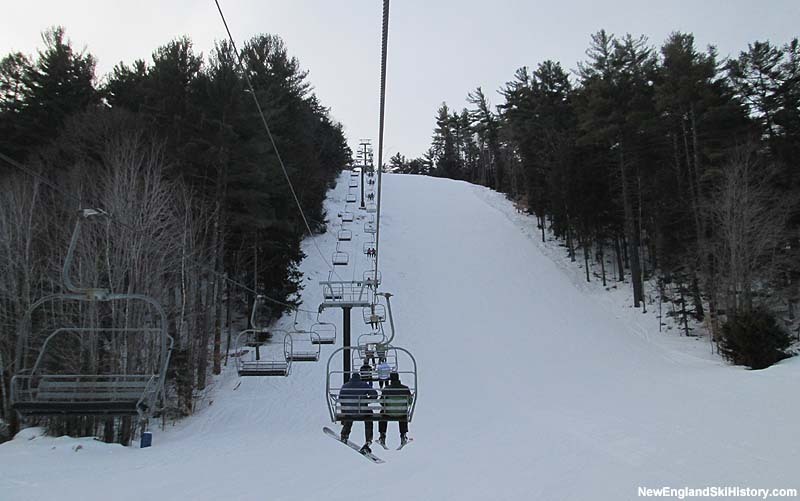 A CTEC, the Black Bear Triple increased the uphill capacity on the north side by 400 people per hour.